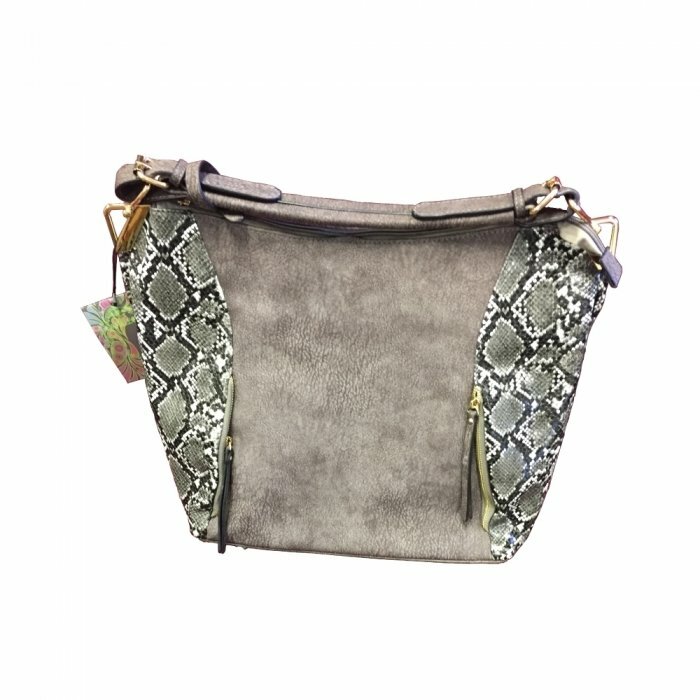 Cameleon Concealed Carry Handbags...because self-defense should never go out of style! There are over 20 million women in the United States that own their own firearm. However, these guns can not protect them if they are at home locked inside a gun safe. When it comes to discreetly carrying their guns, women have historically had very few options for handbags that are stylish yet keep their gun quickly accessible, should the need arise. When a gun is carried in an ordinary handbag, it ends up buried at the bottom of the bag and is very difficult to access, especially in a panic situation. This problem has been solved with the Cameleon Concealed Carry Handbags. These handbags are quickly becoming a favorite among female gun owners because of the discrete zipper compartments located on both sides of the bag, which can be quickly accessed by both right and left hand shooters. These inner compartments are lined with Velcro and include an adjustable Velcro holster which holds the gun securely in place so you will know right where it is every time you reach in to grab it. In a threatening situation, you will have the option to quickly remove the gun from the bag and point it at your attacker or, for faster protection, you can simply shoot through the bag. Cameleon handbags are manufactured to the highest standards using vegan leather. This superior material ensures that all Cameleon handbags are lightweight, durable, water and wear-resistant as well as comfortable and stylish. Now you can take responsibility for protecting yourself and your loved ones by packing heat in style! Nice Size: plenty of space to carry all your belongings and the concealed compartment is located on the outside so it will not interfere with the inside compartments. Mutiple Pockets: The spacious inside includes a zippered padded divider for your tablet or extra fiream and a zippered pocket as well as two little pockets for your phone or other small objects. Three external zippered compartments.